Echoes in Eternity My thoughts on film and life. Forever is a new show currently on the air, and has fast become one of my favorites. Forever is a blend of drama, mystery, comedy, and a touch of fantasy; all themes which, I think, find a way to be well balanced. 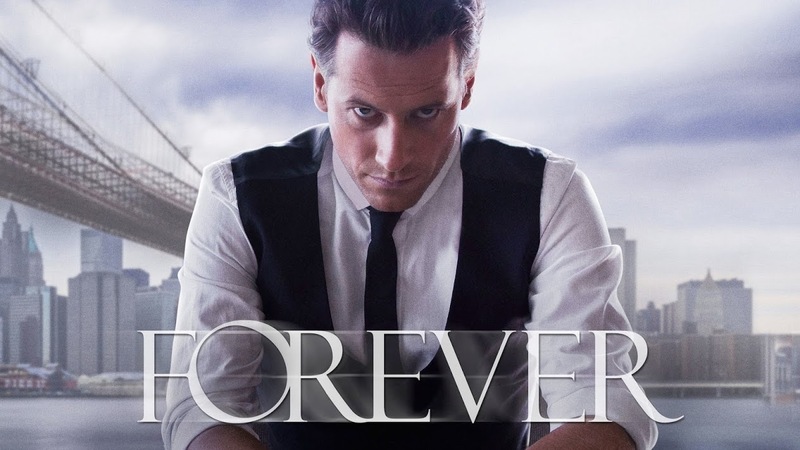 Forever follows Doctor Henry Morgan, an ME (Medical Examiner) for the NYCPD. Henry also happens to be immortal. He can die, but always comes back – in a rather unique and, at times, comedic way – by waking up, naked, in a body of water. For almost 200 years Henry has been trying to solve his ‘problem’ and discover why he is immortal. But the show isn’t only about Henry’s immortality, but about him finding a place in the world, building relationships (which he fears losing as time passes), and solving murders of course. With his almost Sherlock-style attention to detail, Forever does not fail to keep your attention on multiple levels. 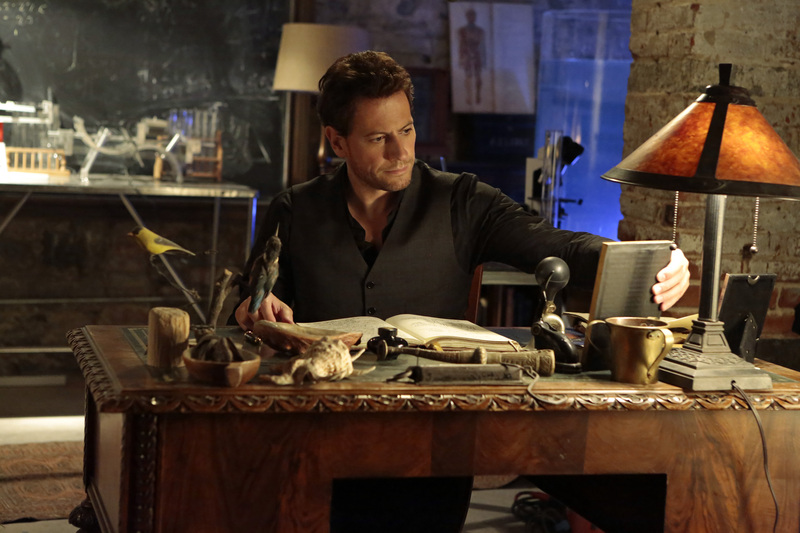 Ioan Gruffudd is wonderful to watch as Dr. Henry Morgan, and constantly steals the scene. I could not imagine anyone playing the part better. I have been a fan of Ioan Gruffudd for a while (Horatio Hornblower, Forsyte Saga, Amazing Grace, and King Arthur to name a few), and I love seeing him in this role. Although the character of Henry Morgan seems young, Ioan Gruffudd managed to play a 200 year old character believably. Henry may be living in the modern world, but he is very much stuck in the past. He is charming, naïve, and endearing, but at the same time intelligent, confident, and trustworthy. Each of the other characters play important roles in Henry’s life, and the actors portray them well. One of the most important characters for Henry is Abraham (Abe). Henry and Abe have become one of my favorite on-screen family relationships because of how different, yet how familiar, their relationship seems. The father/son relationship is seen often, but this time the ‘younger’ man is the father to the ‘older’. 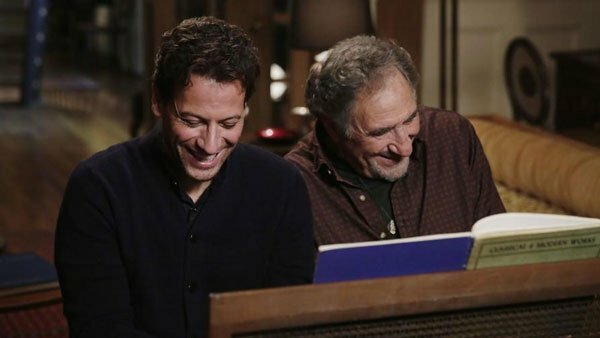 The dynamic between Judd Hirsch (Taxi) and Ioan Gruffudd as they play this reversal of roles is wonderful and natural. Abe’s character is frequently a bridge for Henry from the past into the modern world. Detective Jo Martinez (Alana De La Garza) is the other important person in Henry’s life. Jo trusts Henry’s judgment at crime scenes, and has expanded his role beyond a simple ME. Unlike many stereotyped stories that continue to prevail, Forever does not follow the typical ‘damsel in distress’ situations we’ve seen before when faced with a male/female duo. Jo does not need rescuing, and Henry doesn’t try to save her at every turn. In fact, Henry tends to be the one who needs rescuing more often than not. He knows she is more capable in rough situations because of her police training, and willingly lets her lead the way. It is wonderful to see a show portray this role reversal. Forever is full of well written characters. 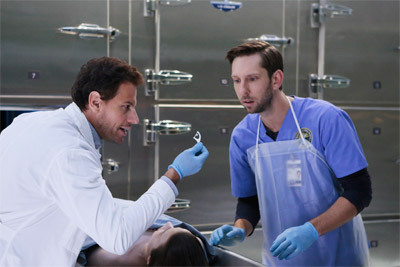 Henry’s assistant, Lucas (Joel David Moore) adds a comedic element to all the grisly murders. And, last but not lease, Adam. Adam seems to have the same ‘condition’ as Henry, but has been alive since Roman times. His age has changed the way he sees the world, and is shaping up to be a complex villain for Henry. Adam is the perfect villain for Henry. A small, but interesting, aspect of the show is it’s use of history and it’s comparison to the present. The show has just enough history to be enjoyable without becoming a lecture. I love seeing Henry throughout his life, as events in his life shape him into the man he is now. Subtle changes, like Henry’s hairstyles through the centuries, are a key detail to help the audience imagine him living in each time. Ioan Gruffudd plays each time period perfectly, and I can imagine him in each era. 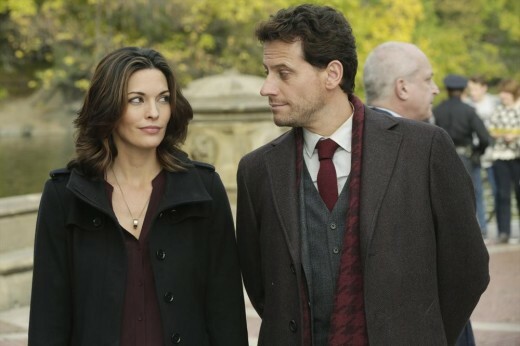 Forever has managed to tackle some very serious subjects, but managed to keep it’s hopeful attitude, frequently through the use of the show’s beginning and ending monologues. I always leave each episode feeling enriched and wanting more. Forever has the potential for far more development and deeper stories. The characters are well written, and I would love to learn more about each of them. As with many creative shows (shout out to Almost Human from last year), I’m sure Forever is under threat of cancellation. I hope it gets the renewal it so rightly deserves. As an avid viewer of the show via Hulu, I hope to be able to keep watching Forever next year. 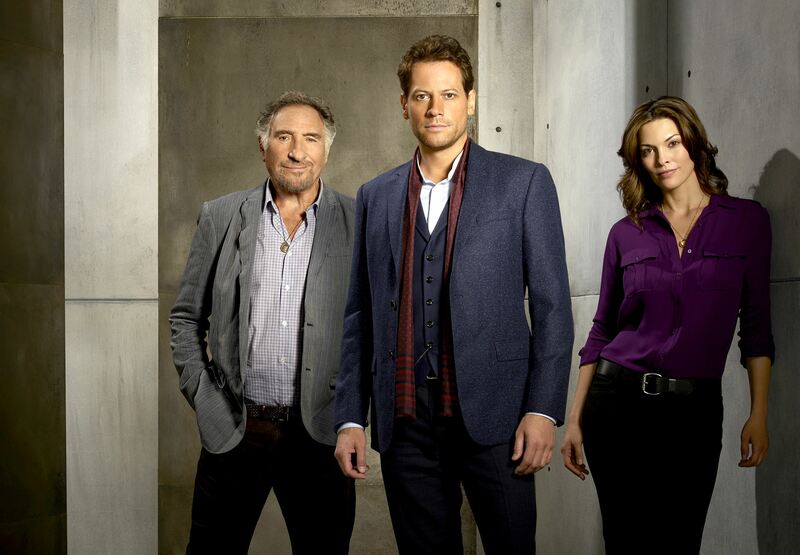 Forever currently airs on ABC, Tuesday at 10pm. Written by Katy Kazala, 18 February 2015. This entry was posted on February 18, 2015 by Kiki. 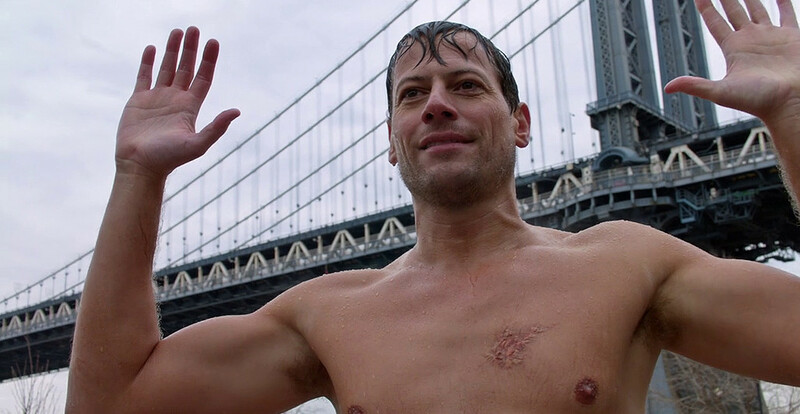 It was filed under Television and was tagged with ABC, Forever, Henry Morgan, Ioan Gruffudd. Want to know by email?